Speakers and participants are listed here in alphabetical order. More content and details to be added soon. 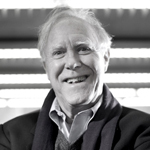 Two-time MacArthur Genius Fellow, poet Robert Hass is a professor of English at University of California, Berkeley. Hass has published six collections of poetry as well as several works of criticism. He has co-translated many of Czesław Miłosz’s works with the author. During his residency as the US Poet Laureate from 1995-1997, Hass promoted ecological awareness, as well as literacy and poetry. He is recipient of the 2014 Wallace Stevens Award, the 2008 Pulitzer Prize for poetry, and the National Book Critics’ Circle Award (1997, 1984). 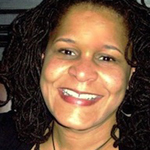 Jennifer James is an associate professor of English and director of the Africana Studies Program at George Washington University. Her A Freedom Bought with Blood: African American War Literature, the Civil War-World War II was recognized as a CHOICE Outstanding Academic title in 2008. 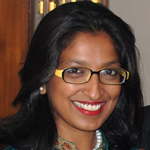 Naveeda Khan is an associate professor of anthropology and director of graduate studies at Johns Hopkins University. Her thematic interests include: Bangladesh’s riparian society, ecological consciousness, and climate change, Pakistan’s religion, urban anthropology, and law, to name but a few. She earned her PhD in Anthropology from Columbia University, and has recently been a research fellow for the American Institute for Bangladesh Studies and the Wenner-Gren Foundation, both for her research in Bangladesh. Khan is the author of Muslim Becoming: Aspiration and Skepticism in Pakistan(2012) and the editor of Beyond Crisis: Re-evaluating Pakistan (2010). 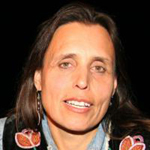 Activist and author Winona LaDuke lives and works on the White Earth reservation in northern Minnesota. She is program director of Honor the Earth, a Native-led organization that addresses primary needs of the Native environmental movement, as well as founder of the White Earth Land Recovery Project. In 2007, LaDuke was inducted into the National Women’s Hall of Fame and was nominated by Time magazine as one of America’s fifty most promising leaders under forty years of age in 1994. She has been awarded the Thomas Merton Award in 1996, Ms. Woman of the Year (with the Indigo Girls in l997), and the Reebok Human Rights Award. A graduate of Harvard and Antioch Universities, she is a former board member of Greenpeace USA, and a current advisory board member for the Trust for Public Lands Native Lands Program as well as a board member of the Christensen Fund. 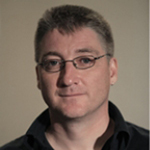 For over 20 years, Garth Lenz has produced images of threatened wilderness and industrial impacts which have received major international awards, appeared in the world’s leading publications, and been exhibited world wide. He has been invited to address major corporations, government bodies, and educational institutions. His TED talk, The True Cost of Oil, has received over 580,000 views. His exhibit of the same name has been recently hosted in Los Angeles, Brooklyn, New York, Boston, and Germany. Lenz is one of only 60 photographers to be named a Senior Fellow of the International League of Conservation Photographers. 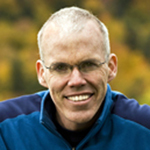 Writer and environmentalist Bill McKibben is the founder of 350.org, the first global grassroots climate change website. His first book, The End of Nature(1989), has appeared in 24 languages, and he has written more than a dozen books about the environment. Recipient of the Gandhi Peace Award in 2013, McKibben is the Schumann Distinguished Scholar in Environmental Studies at Middlebury College. 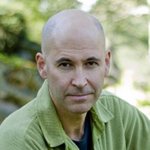 His writing can be found in New York Review of Books, National Geographic, and Rolling Stone. He lives above Lake Champlain with his wife, writer Sue Halpern. 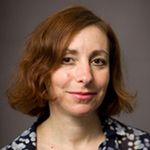 Karen Pinkus is Professor of Italian and Comparative Literature at Cornell University. She is author ofBodily Regimes: Italian Advertising Under Fascismand Alchemical Mercury: A Theory of Ambivalence, among others. Her forthcoming Fuel thinks about issues crucial to climate change by arguing for a separation of fuel (perhaps understood as potentiality, or dynamis, to use the Aristotelian term) from energy as a system of power (actuality, use). Fuel follows a series of literary, filmic and critical texts through the form of a dictionary (from “air” to “zyklon D”). Fuelengages with literature, art and critical theory as they are central to analogy and in turn, to fuel itself. Victoria Sambunaris received her MFA from Yale University in 1999. She is a recipient of the 2010 Aaron Siskind Foundation Individual Photographer’s Fellowship and the 2010 Anonymous Was a Woman Award. Her work is held in the collections of the Museum of Modern Art, the Museum of Fine Arts Houston, the National Gallery of Art, the San Francisco Museum of Modern Art, the Albright-Knox Art Gallery, and the Lannan Foundation. In April 2014, her first mongraph, Taxonomy of a Landscape, was released. 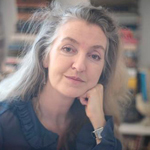 Writer, historian, and activist Rebecca Solnit has written fifteen books. Her titles include A Paradise Built in Hell: The Extraordinary Communities that Arise in Disaster; A Field Guide to Getting Lost; Hope in the Dark: Untold Histories, Wild Possibilities;Wanderlust: A History of Walking; and River of Shadows, Eadweard Muybridge and the Technological Wild West, for which she received a Guggenheim, the National Book Critics Circle Award in criticism, and the Lannan Literary Award. Her most recent title, Unfathomable City: A New Orleans Atlas, was released in November 2013. A product of the California public education system from kindergarten to graduate school, she works on climate issues with the group 350.org. 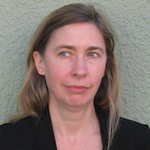 She is a contributing editor to Harper’s and regular contributor to the political site Tomdispatch.com. Critic, editor, and poet Juliana Spahr earned her BA from Bard College and PhD in English from the University at Buffalo, The State University of New York after growing up in Chillicothe, Ohio. She received the 2009 Hardison Poetry Prize from the Folger Shakespeare Library. Her first collection of poetry, Response, won her the National Poetry Series Award. She currently lives in Berkeley, California. Author and filmmaker Mike Tidwell is founder and director of the Chesapeake Climate Action Network, a grassroots nonprofit organization dedicated to raising awareness about the impacts and solutions associated with global warming in Maryland, Virginia, and Washington, D.C. His most recent book, focusing on Katrina and global warming, is titled The Ravaging Tide: Strange Weather, Future Katrinas, and the Race to Save America’s Coastal Cities. His documentary film, We Are All Smith Islanders, depicts the dangers of global warming in Maryland, Virginia, and D.C. Tidwell has been featured in numerous national media outlets including NBC’s Meet the Press, NPR, The New York Times, and the Washington Post. Tidwell received the Audubon Naturalist Society’s Conservation Award in 2003. A long-time resident of Maryland, Tidwell lives in Takoma Park with his wife and son. Chris Williams is a longtime environmental activist and author of Ecology and Socialism: Solutions to Capitalist Ecological Crisis (Haymarket Books, 2010). He is professor of physics and chemistry at Pace University and chair of the science department at Packer Collegiate Institute. 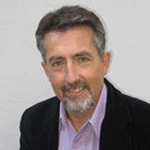 Williams’ work has appeared in Z Magazine, International Socialist Review, and many others. He is working on his second book.